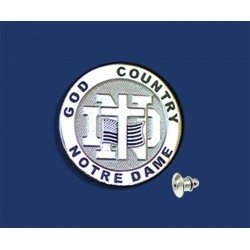 Shop Notre Dame® Tie Tacks your choice of Gold or Silver with many styles, Fighting Irish, Leprechaun, Shamrock & many more. Tie Tacks There are 14 products. 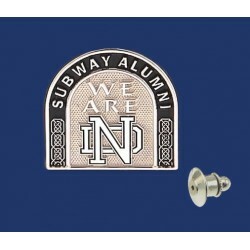 3/4″ by 3/4″ Sharp 3 dimensional detail. Allow 2 to 3 weeks for delivery. 3/4″ wide. Sharp 3 dimensional detail. Allow 2 to 3 weeks for delivery. 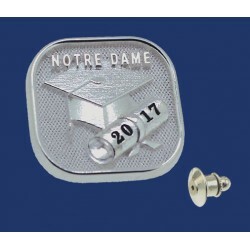 The leprechaun tie tack is 3/4" in length and has the words "Notre Dame Fighting Irish" around the border.Sharp 3 dimensional detail. Allow 2 to 3 weeks for delivery. 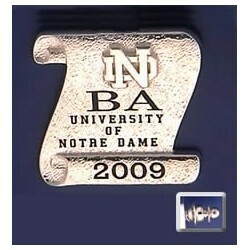 The additional custom engraving fee of $25 gives you the choice of degree with year. 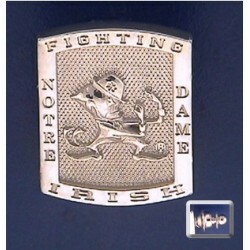 The scroll tie tack is 3/4" in length. Sharp 3 dimensional detail. Allow 2 to 3 weeks for delivery. 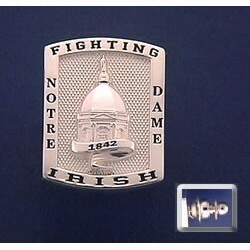 3/4" in diameter.Sharp 3 dimensional detail. Allow 2 to 3 weeks for delivery. 3/4" wide.Sharp 3 dimensional detail. Allow 2 to 3 weeks for delivery. 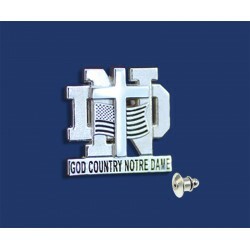 The Golden Dome tie tack is 3/4" in length and has the words "Notre Dame Fighting Irish" around the border.Sharp 3 dimensional detail. Allow 2 to 3 weeks for delivery. Can be personalized with year. Cost $25. The Tie Tack is 3/4" in length. Sharp 3 dimensional detail. Allow 2 to 3 weeks for delivery. Approximately 1" from football end to end.Sharp 3 dimensional detail. Allow 2 to 3 weeks for delivery. Approximately 3/4″ in length. Sharp 3 dimensional detail. The arched shape represents the subway tunnel. Allow 2 to 3 weeks for delivery. 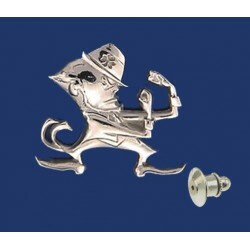 The leprechaun tie tack is 3/4" in length.Sharp 3 dimensional detail. Allow 2 to 3 weeks for delivery. The tie tack is approximately 3/4" by 3/4". Sharp 3 dimensional detail. Allow 2 to 3 weeks for delivery. 3/4" in diameter. Sharp 3 dimensional detail. Allow 2 to 3 weeks for delivery.